We operate out of three sites, AWBS Head Office at South Hinksey in Oxford & Yarnton in Oxford & Cheney Manor in Swindon. We are major stockists of natural stone and concrete paving and slabs from the leading paving manufacturers such as Stonemarket, Bradstone and Pavestone. We are major stockists of block paving products form three of the leading paving manufacturers Brett, Stonemarket & Pavestone. 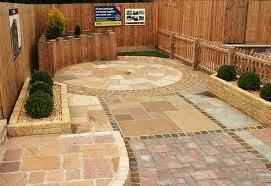 Hey Buddy!, I found this information for you: "AWBS Ltd Builder Supplies – Patios Oxfordshire". Here is the website link: https://oxfordlocals.com/ad/awbs-ltd-builder-supplies-patios-oxfordshire/. Thank you.